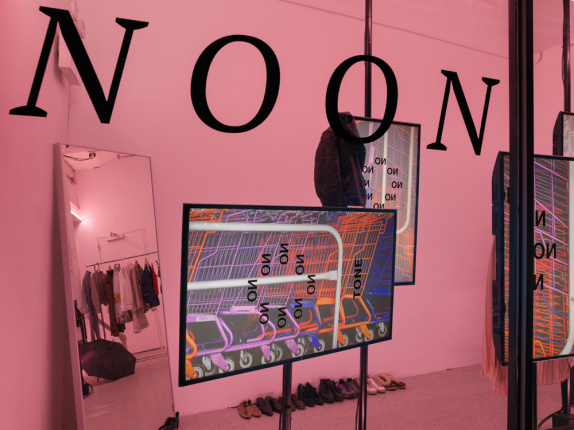 Working across a range of media including video, sound, performance, sculpture, collage, and installation, New York–based artist Sara Magenheimer (b. 1981, Philadelphia, PA) disrupts, manipulates, and defamiliarizes language with bold combinations of image and text. Working across a range of media including video, sound, performance, sculpture, collage, and installation, New York–based artist Sara Magenheimer (b. 1981, Philadelphia, PA) disrupts, manipulates, and defamiliarizes language with bold combinations of image and text. Her videos incorporate traditional filmic editing techniques alongside those inspired by music and collage. In syncopated progressions of pictures and words, Magenheimer pushes against the bounds of narrative, charting circuitous storylines through vernacular associations that invite individual interpretations. Through surprising juxtapositions of language, graphic compositions, and idiosyncratic imagery, she reveals how visual and verbal signs mutate and guide manifold pathways to understanding. 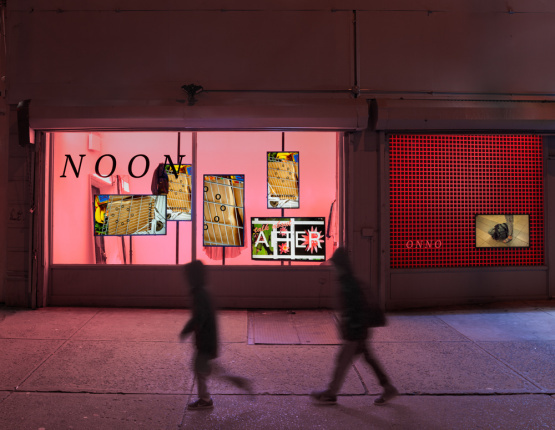 Magenheimer presents a new video installation in the window of the New Museum’s 231 Bowery building. 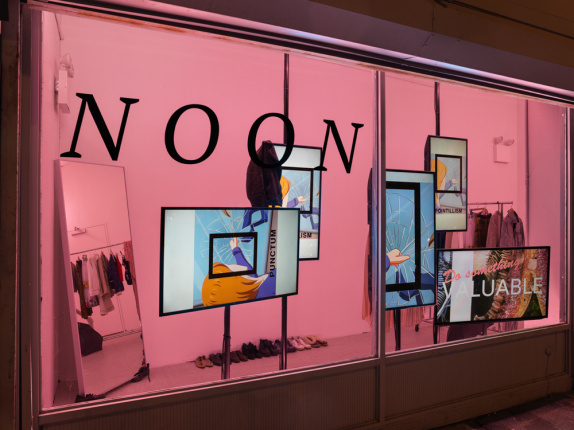 This project is part of a new series of window installations, which relaunches the program the New Museum originally mounted in the 1980s. In conjunction with her window installation, a selection of Magenheimer’s films is also on view as part of the Museum’s ongoing Screen Series. This project is curated by Margot Norton, Curator. On the occasion of her project, Magenheimer has also completed “Notes on Art and Resistance A–Z,” a downloadable PDF. Written by the artist over the course of the past year, following the 2016 US presidential election, the text comprises a sequence of personal meditations on making art in a time of profound political and social change. Sara Magenheimer was born in 1981 in Philadelphia, PA, and lives and works in New York. Recent solo exhibitions include Portland Institute for Contemporary Art, Portland, OR (2017); the Kitchen, New York (2017); Art in General in partnership with kim?, Riga, Latvia (2016); the Center for Ongoing Research & Projects (COR&P), Columbus, OH (2016); JOAN, Los Angeles (2015); and Recess, New York (2015). Her works have also been included in the group exhibitions “Body Language,” the High Line, New York (2017); “CCCC (Ceramics Club Cash and Carry),” White Columns, New York (2015); and “Amy Sillman: One Lump or Two,” Institute of Contemporary Art, Boston, and Aspen Art Museum (2013–14). Her videos have been screened at the Brooklyn Academy of Music (2017); the New York Film Festival (2017, 2015, 2014); Images Festival, Toronto (2017); Anthology Film Archives, New York (2016); EMPAC, Troy, NY (2016); and the Museum of Contemporary Art Chicago (2015). Additional support provided by Video Data Bank at the School of the Art Institute of Chicago.